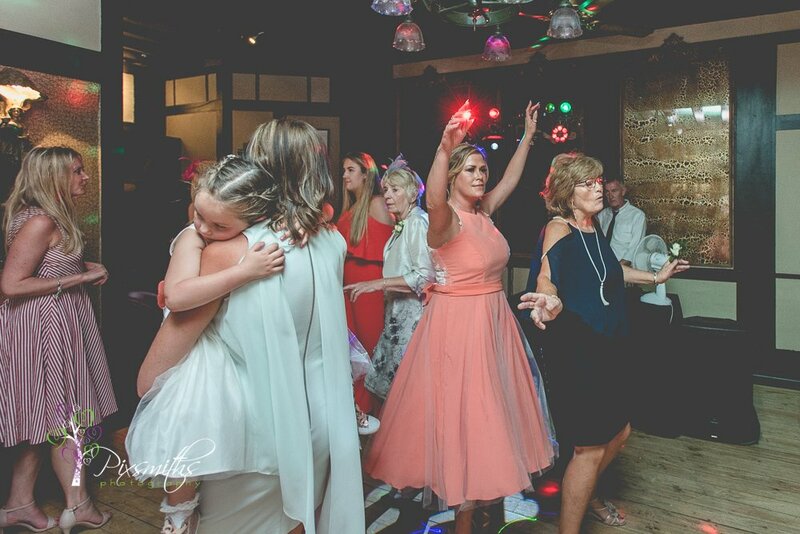 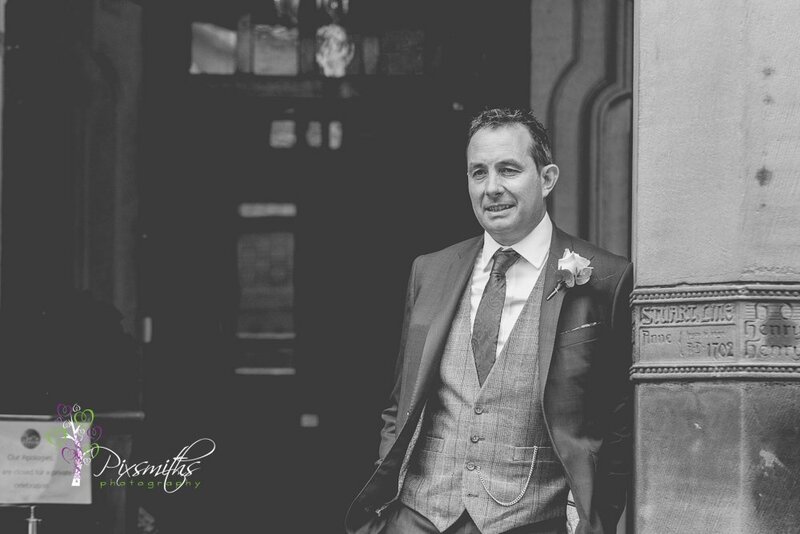 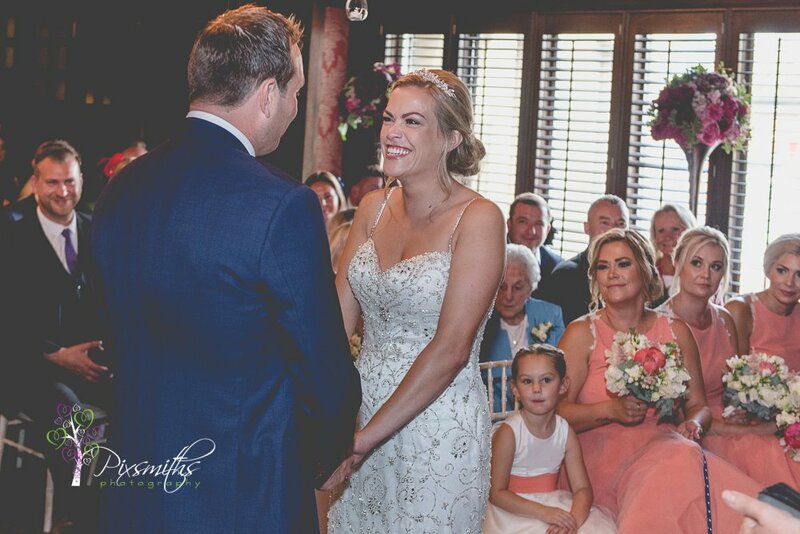 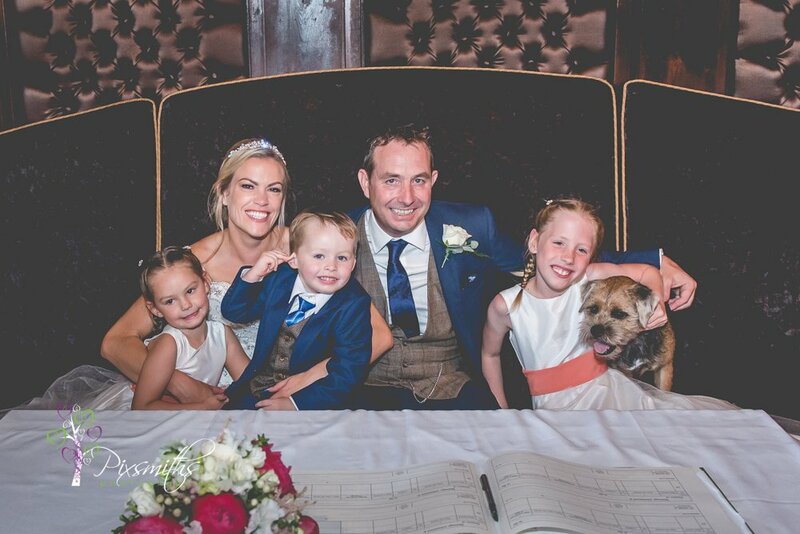 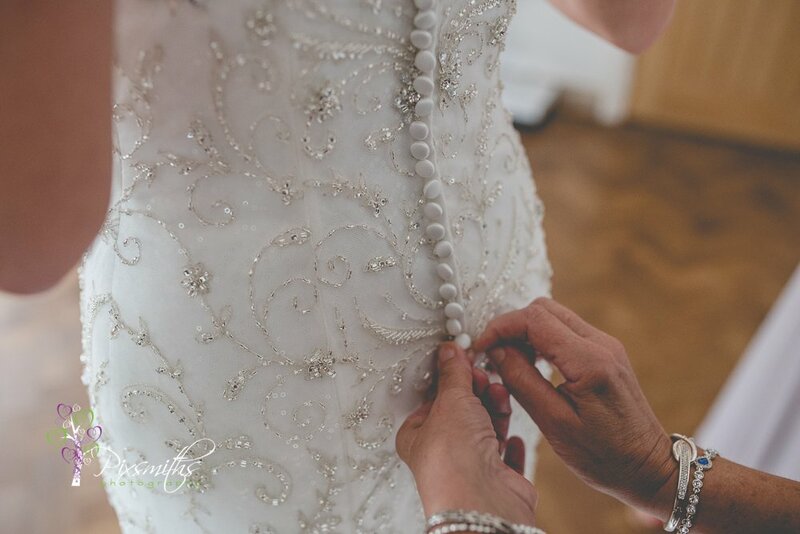 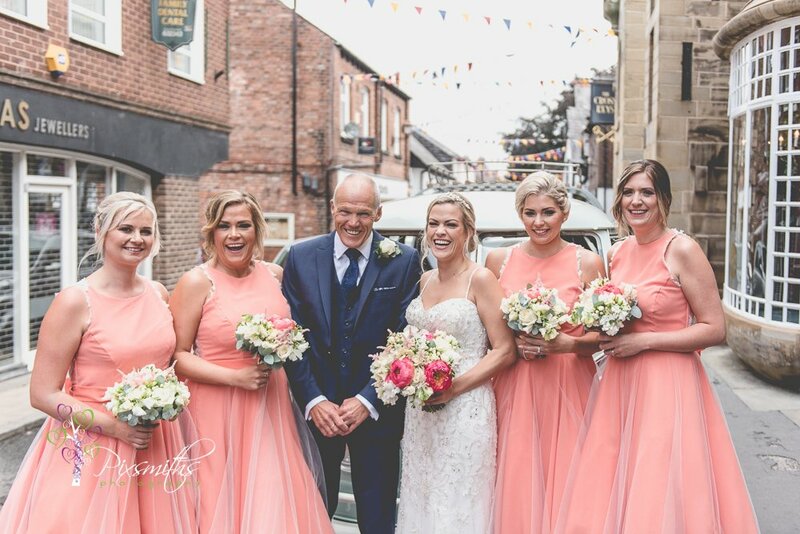 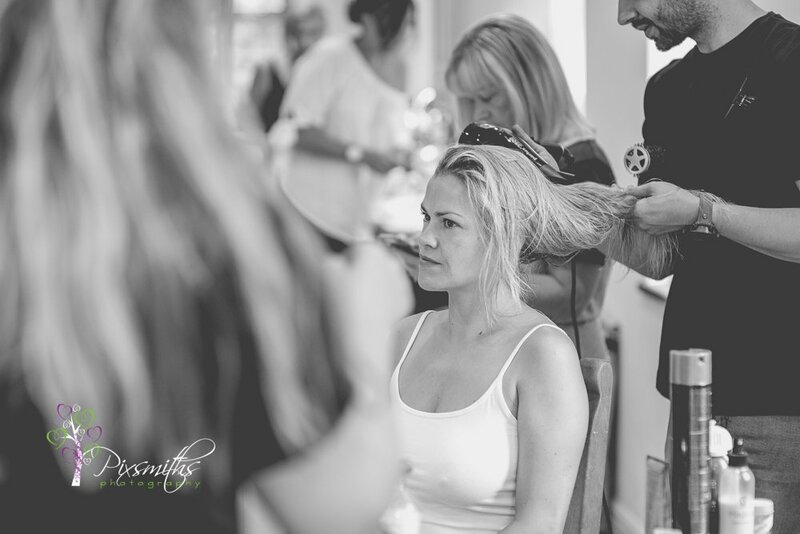 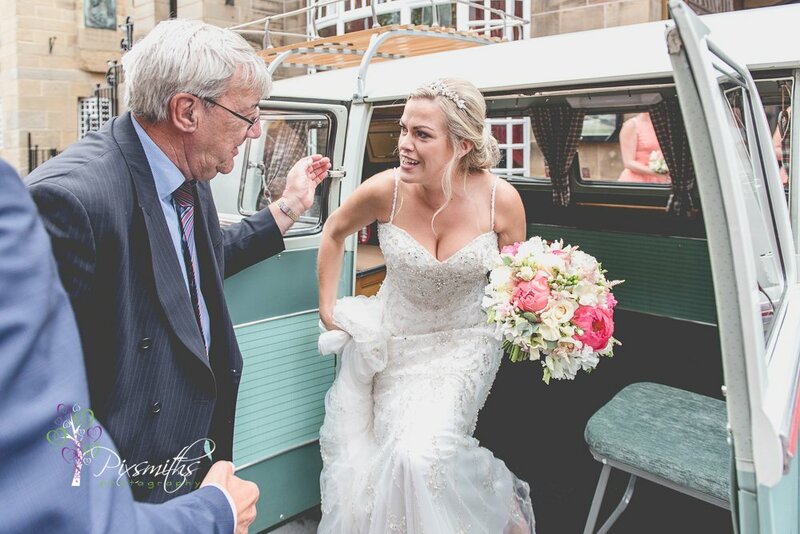 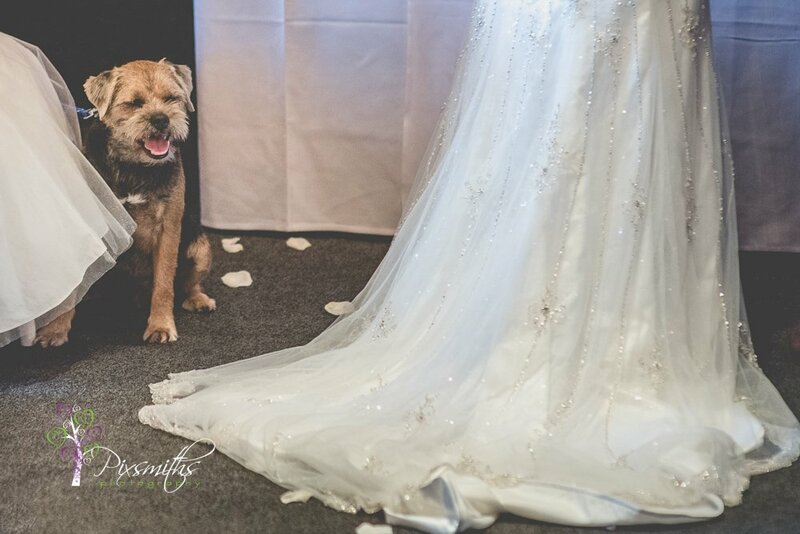 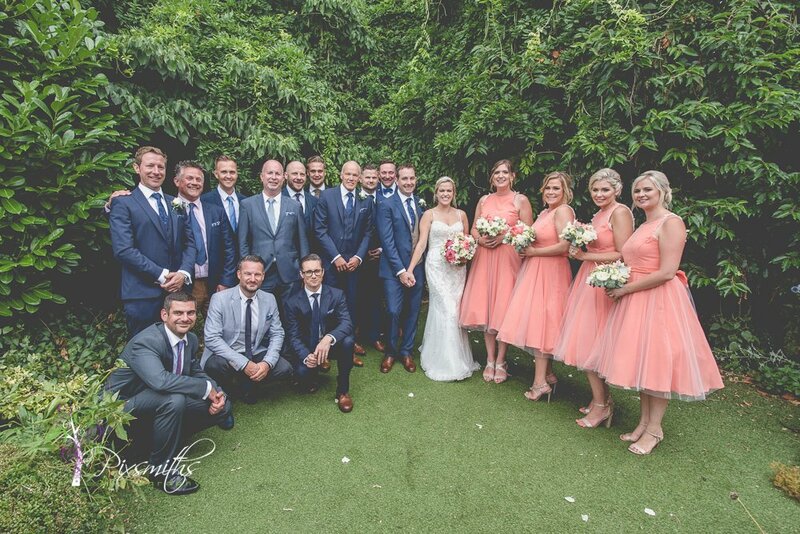 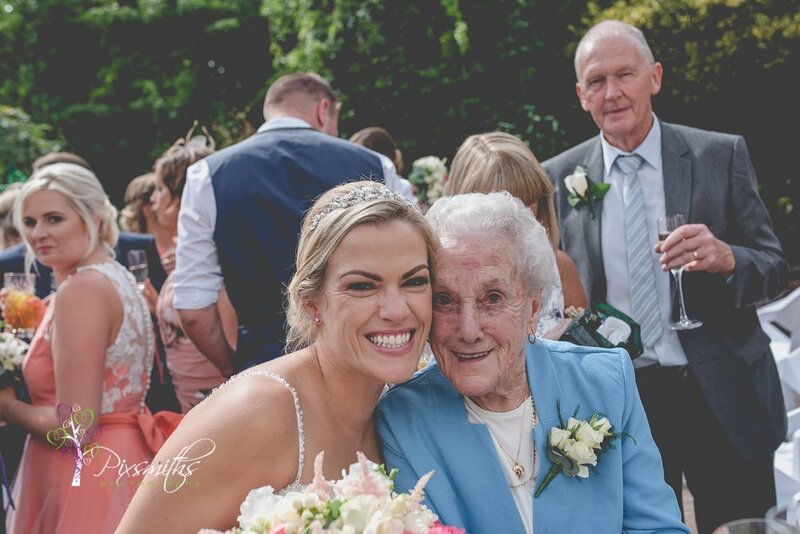 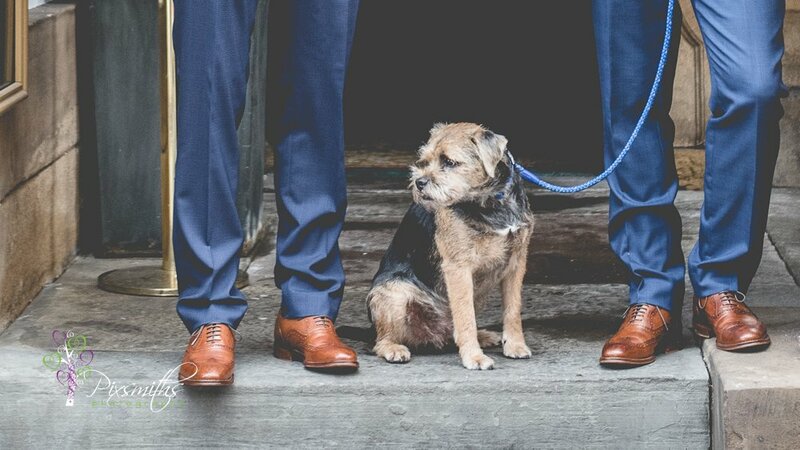 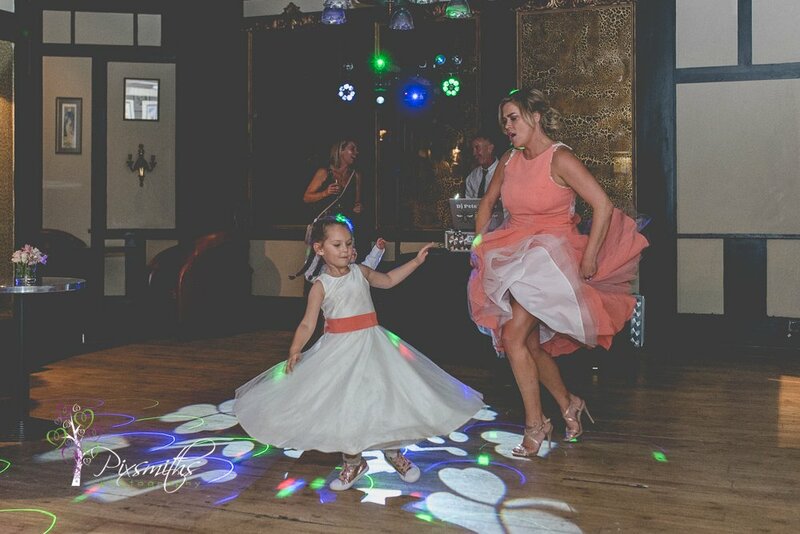 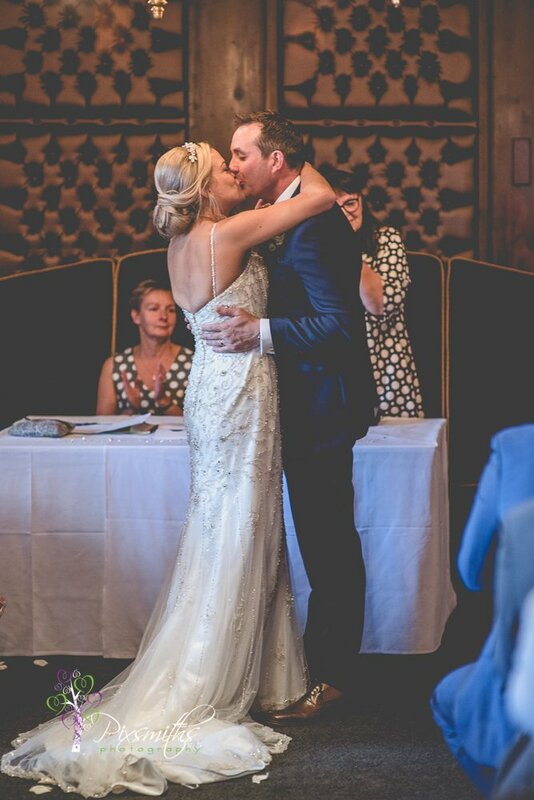 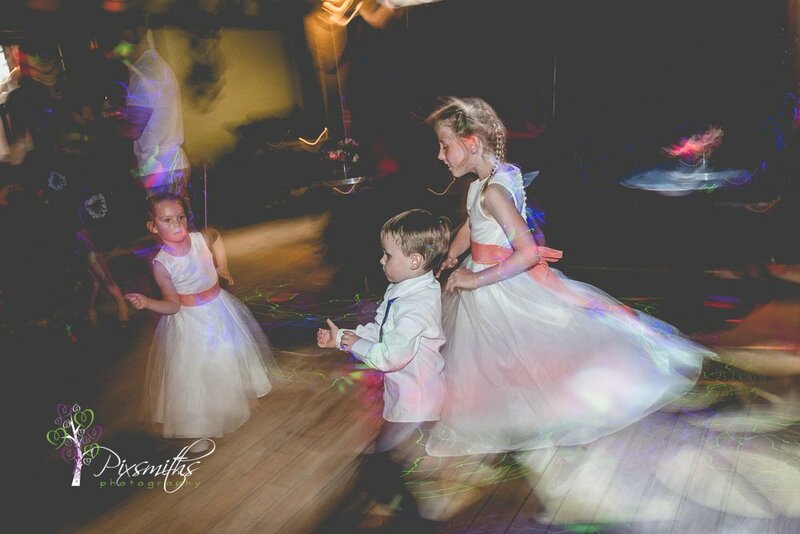 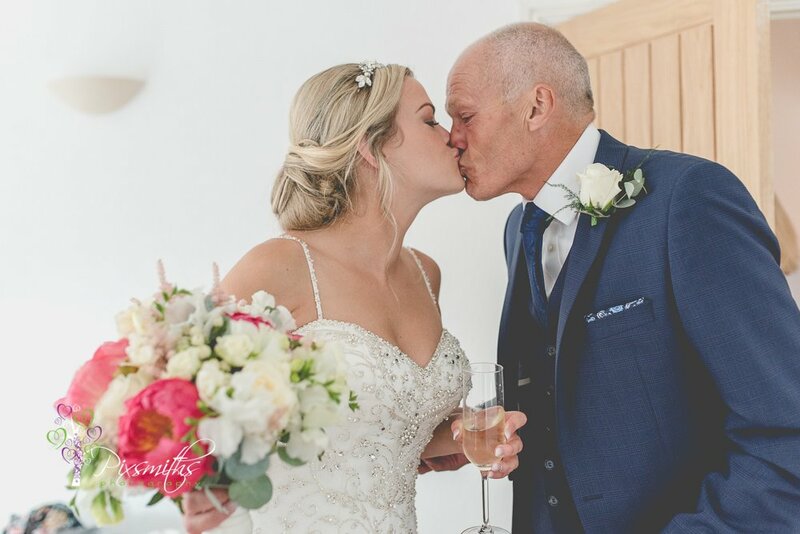 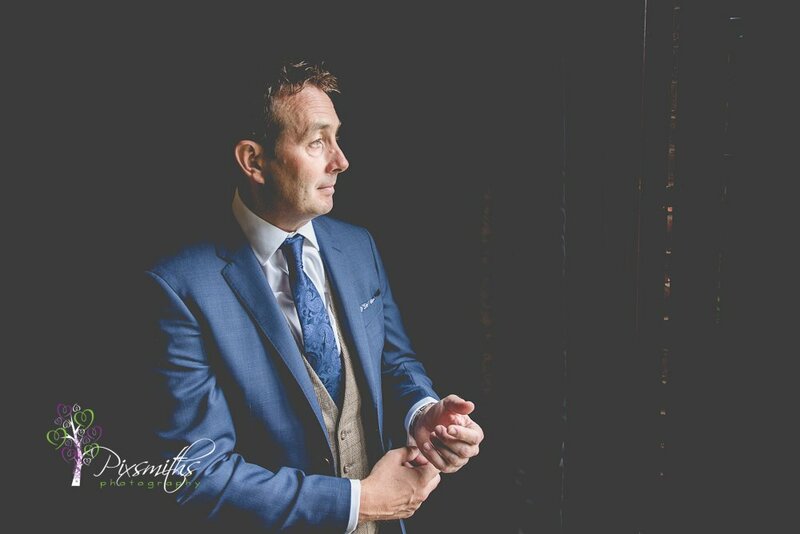 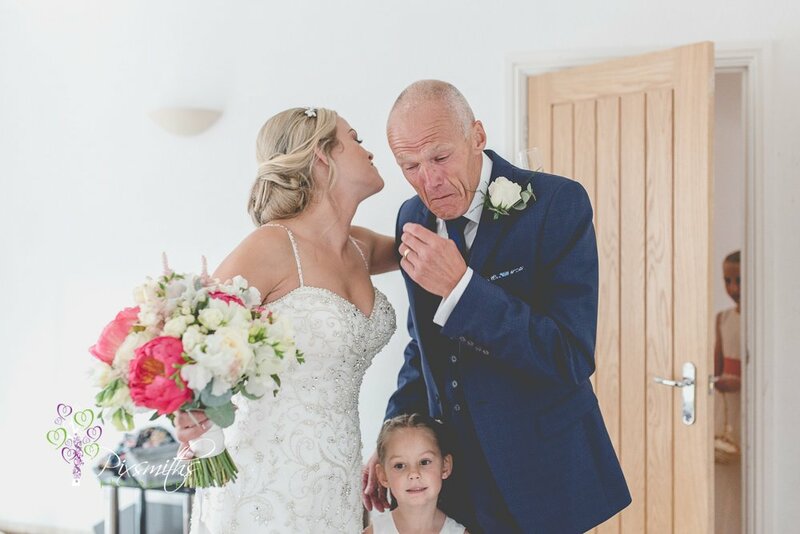 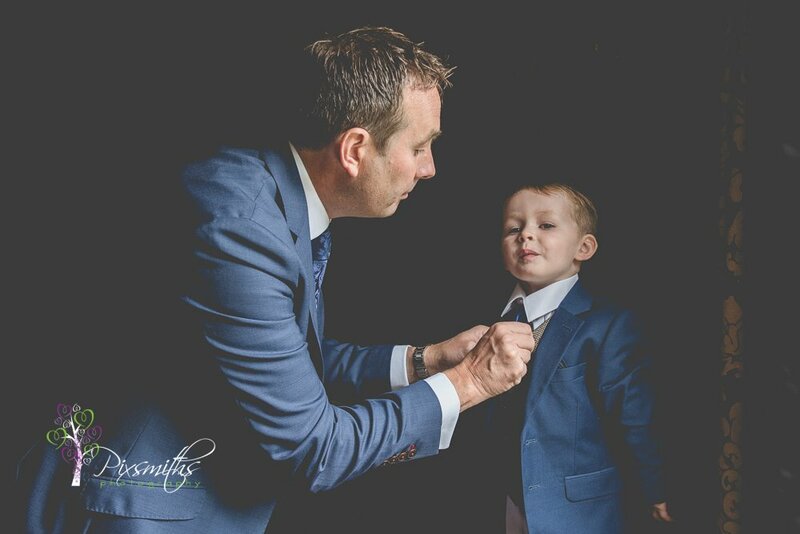 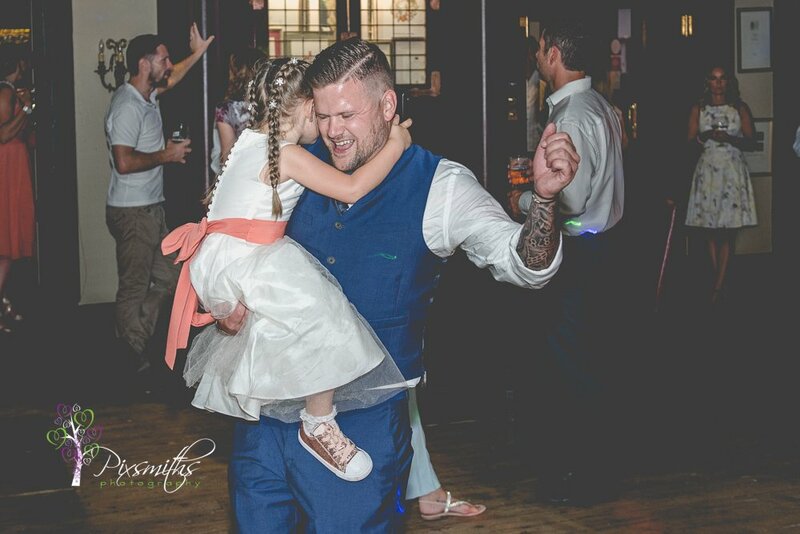 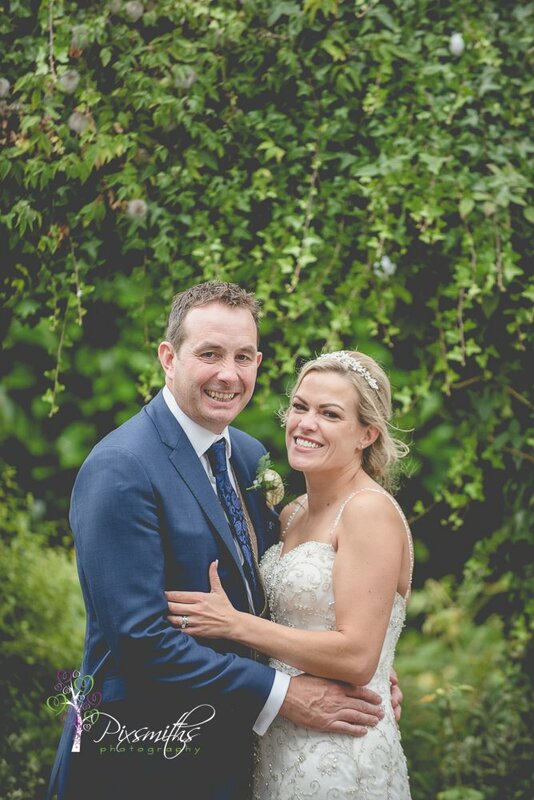 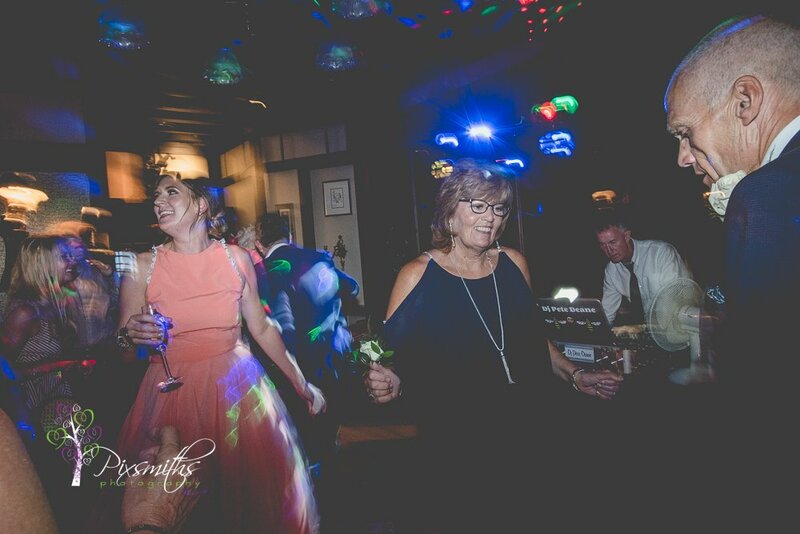 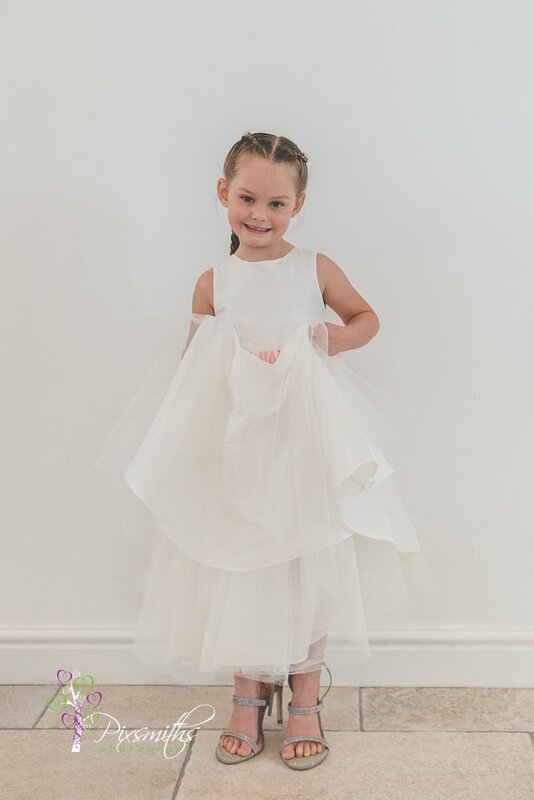 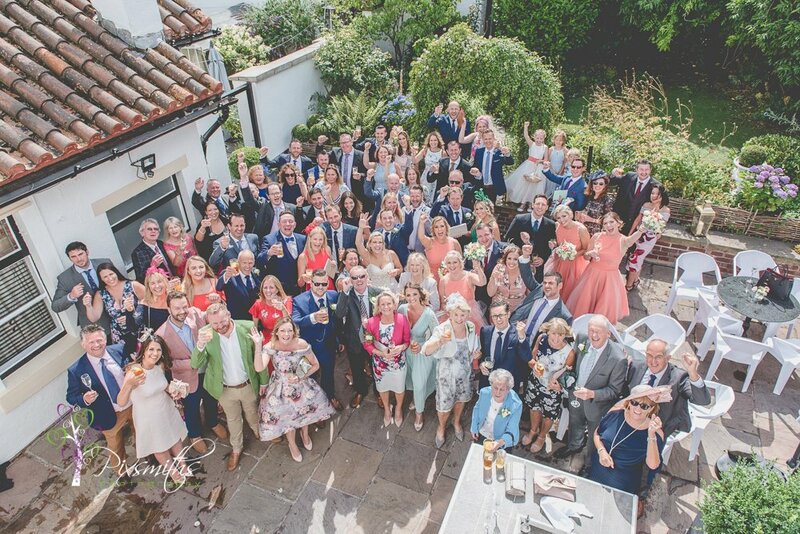 What a lovely relaxed family wedding Belle Epoque Knutsford this was! 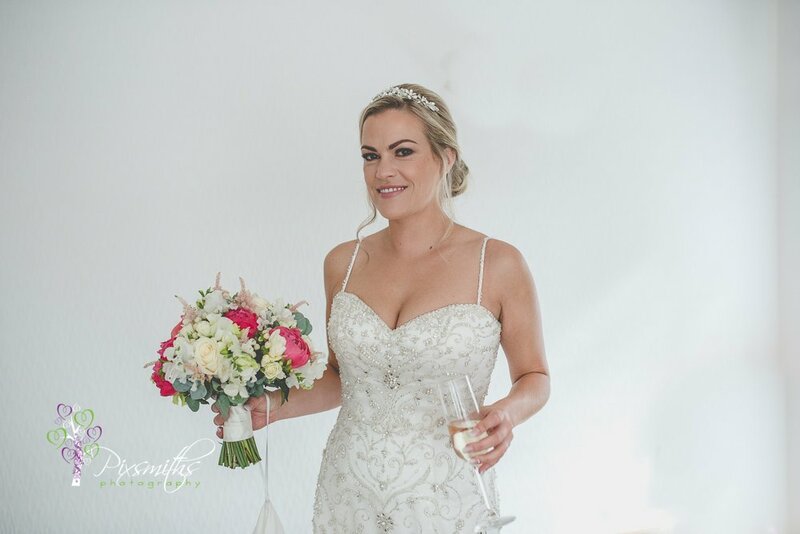 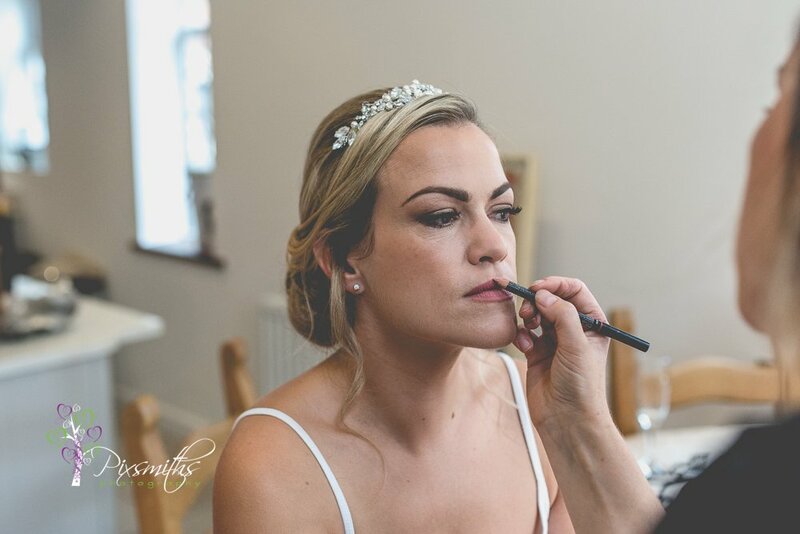 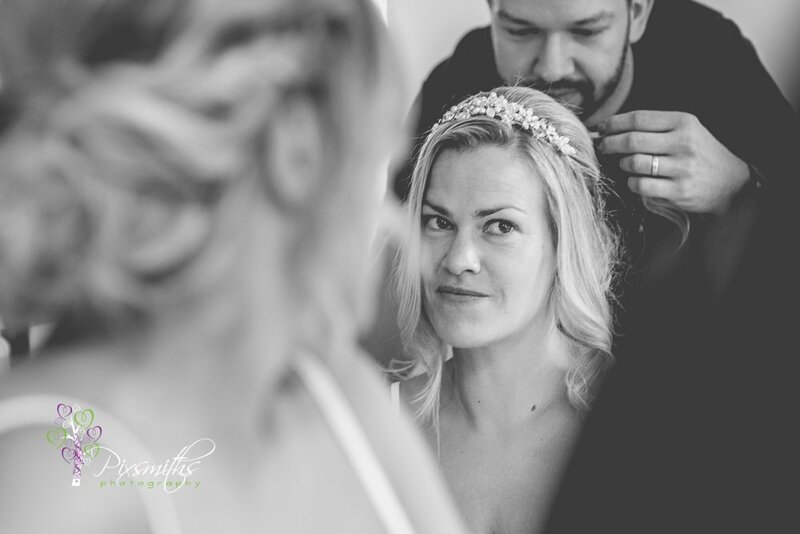 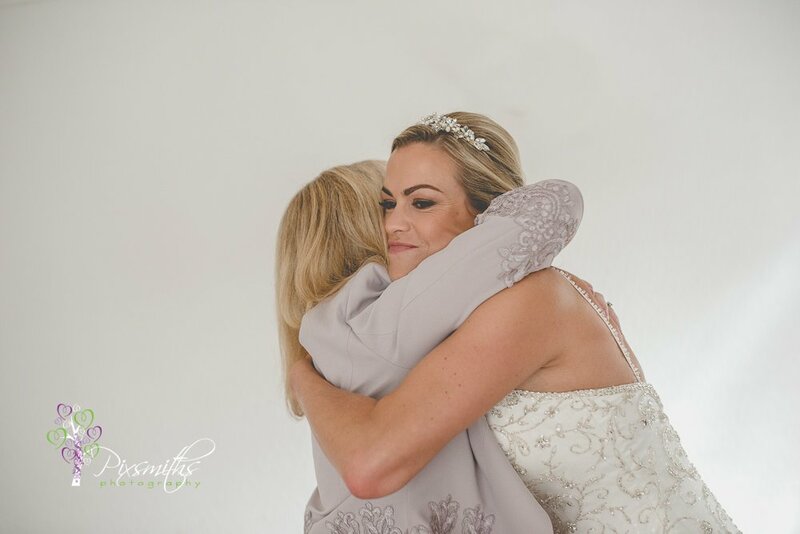 However been lots of communication beforehand so when we arrived for bridal preps Hanna said hi, I feel like I know you already – which was really great. 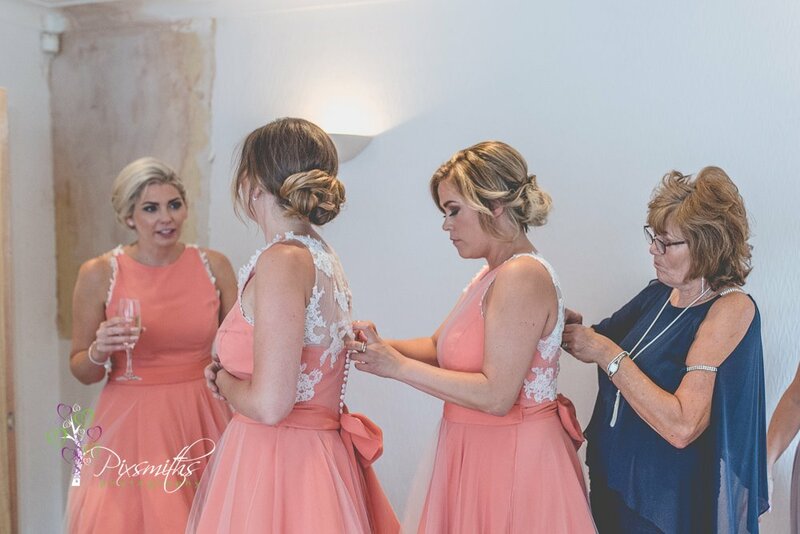 Hanna’s Aunt owns a bridal boutique and came out of semi retirement to make all the bridesmaids dresses fro her. 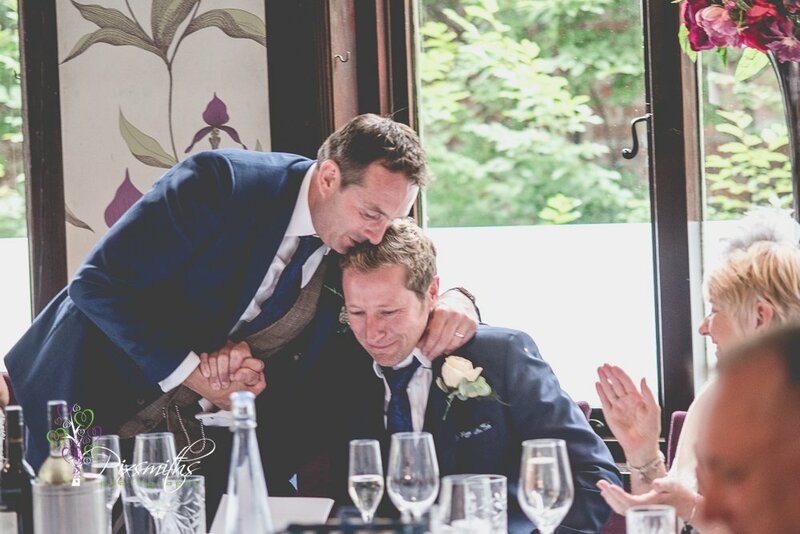 How kind. 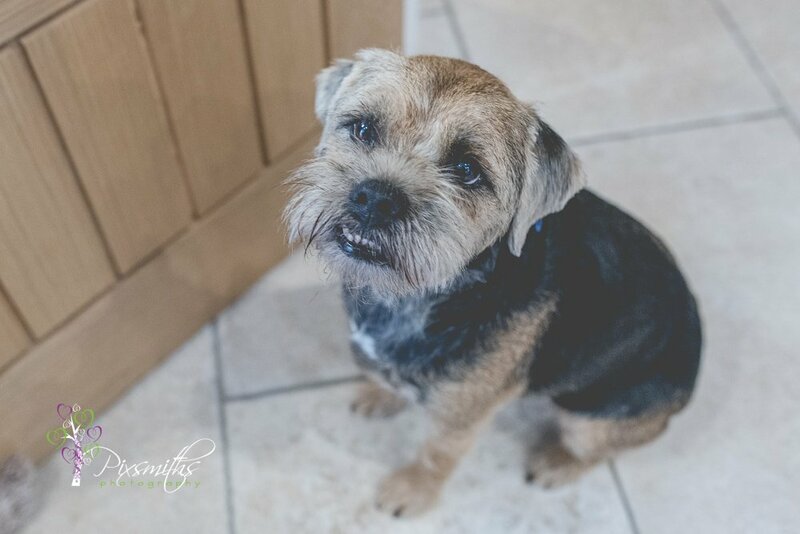 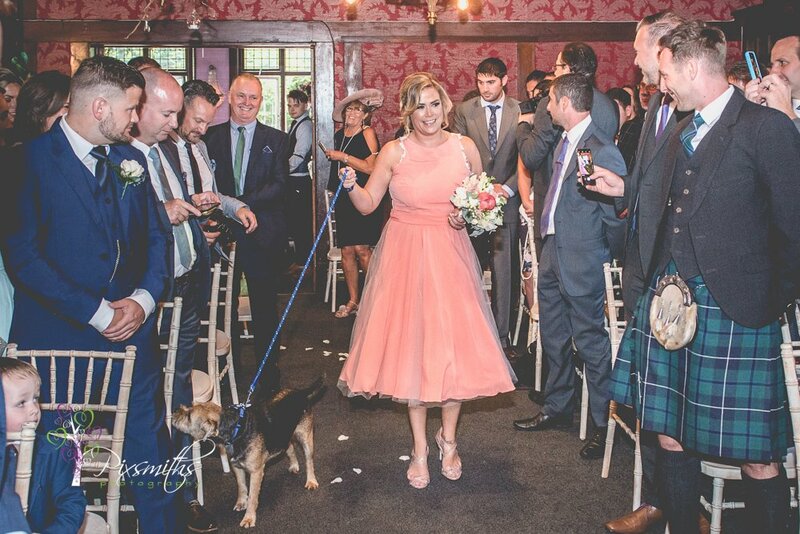 Their dog Steve was an important guest at their wedding too, being escorted down the aisle and sitting good as gold during the ceremony. 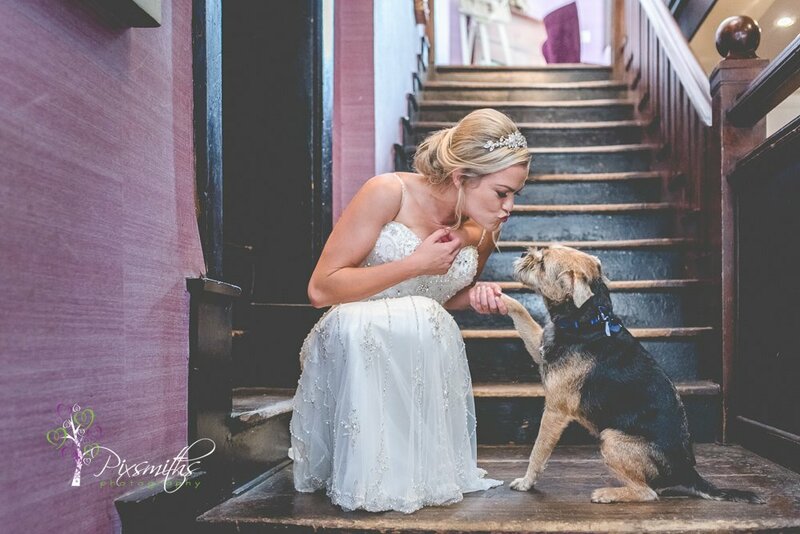 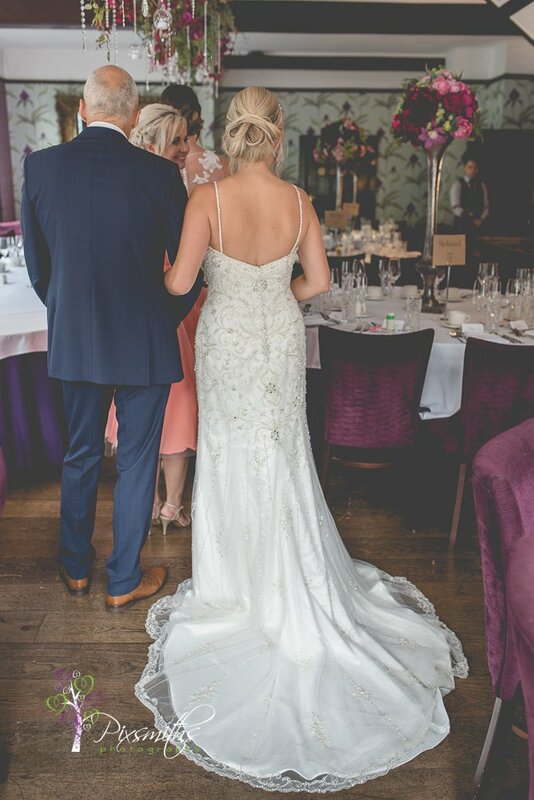 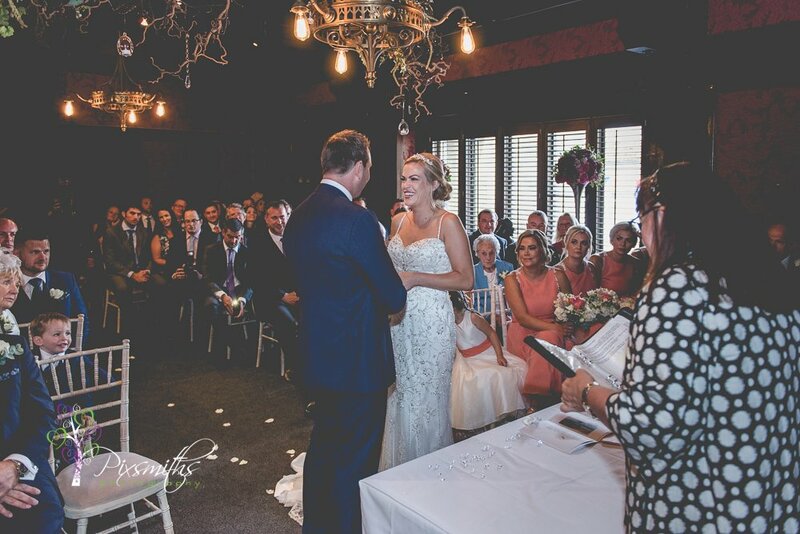 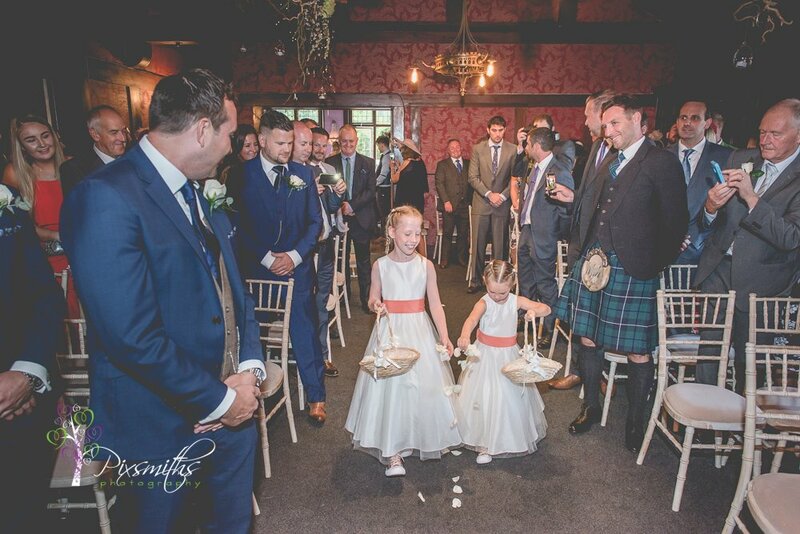 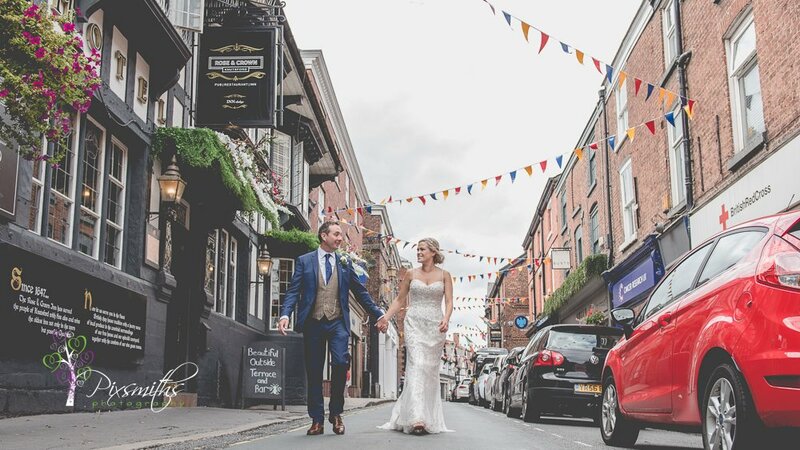 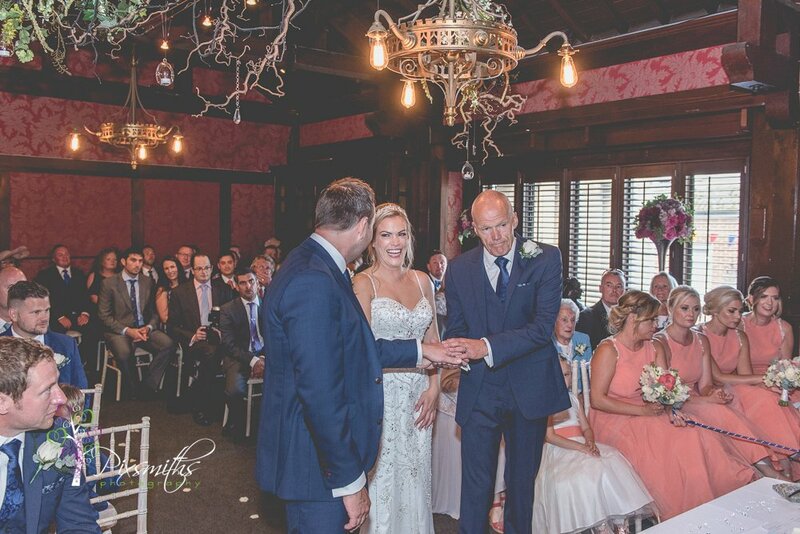 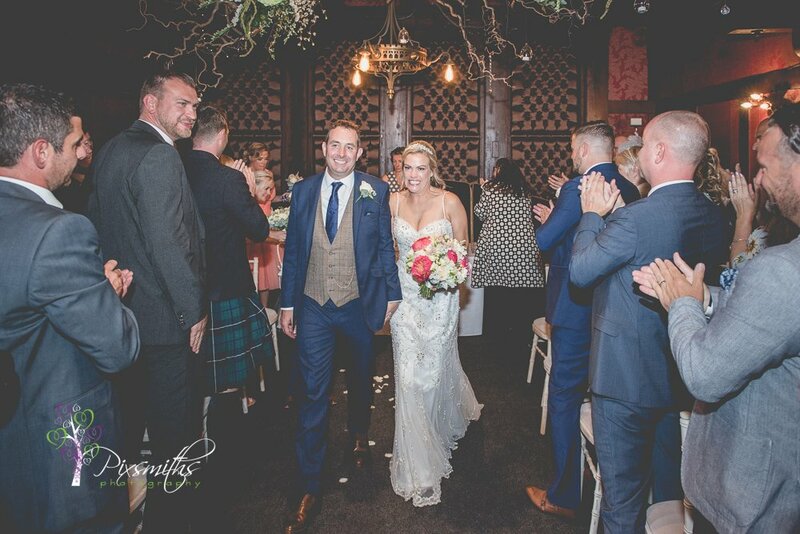 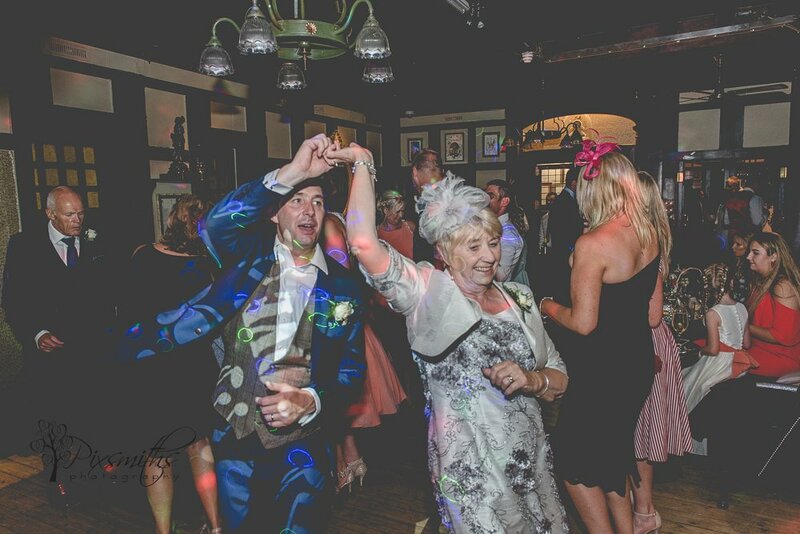 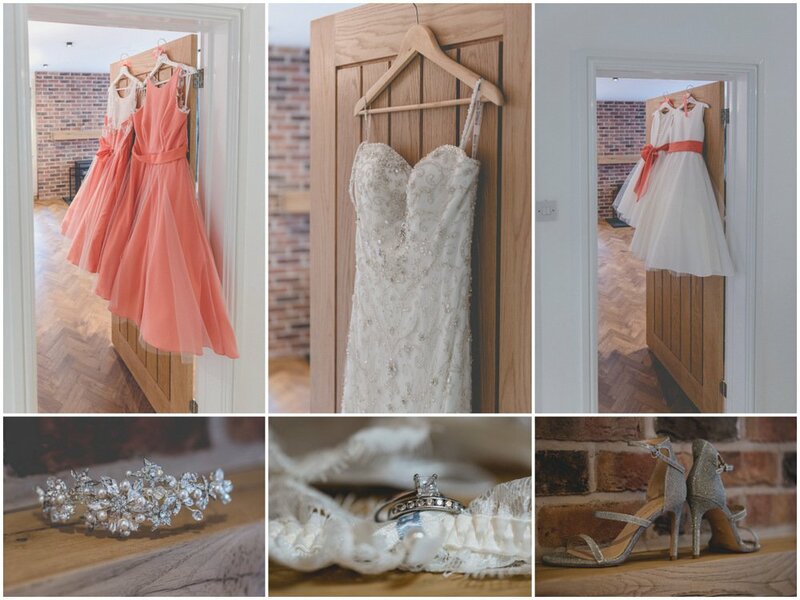 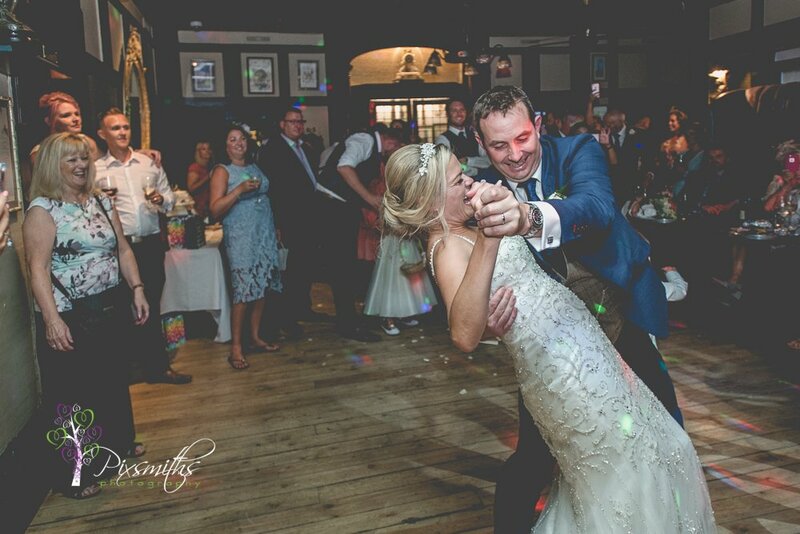 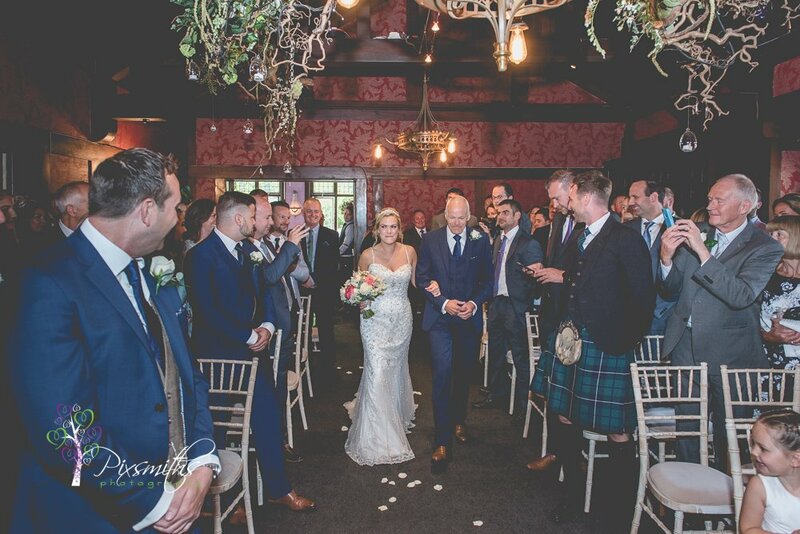 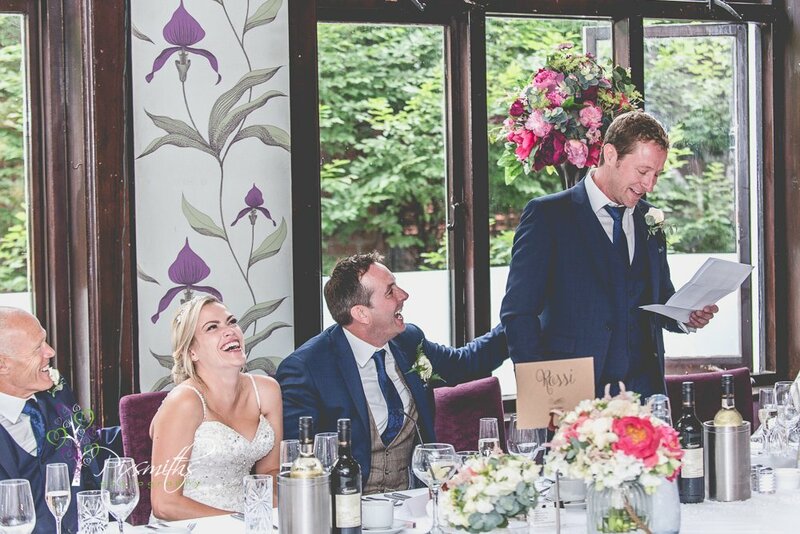 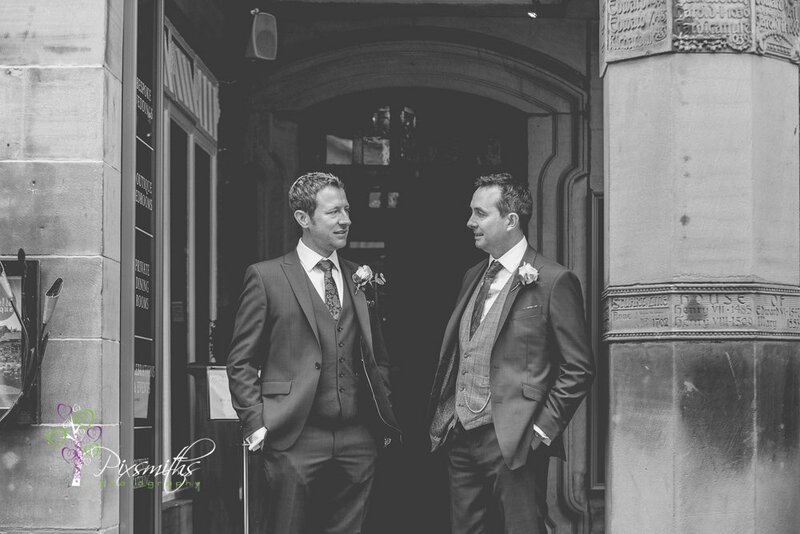 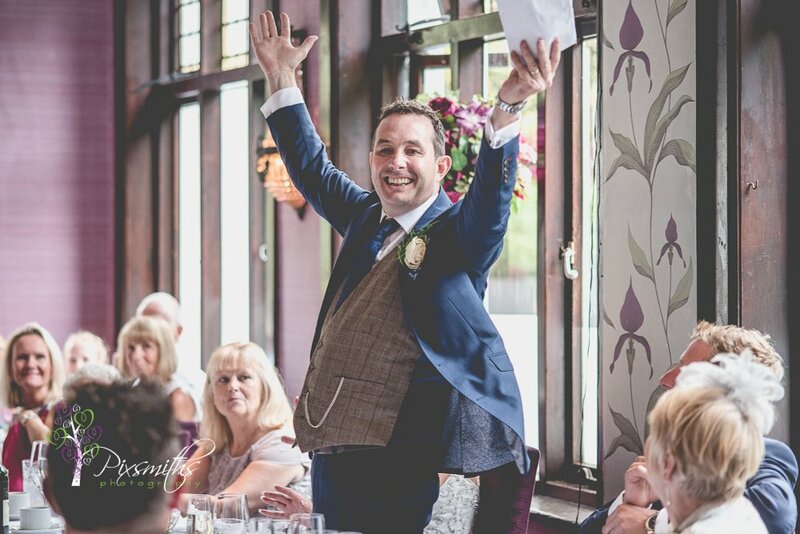 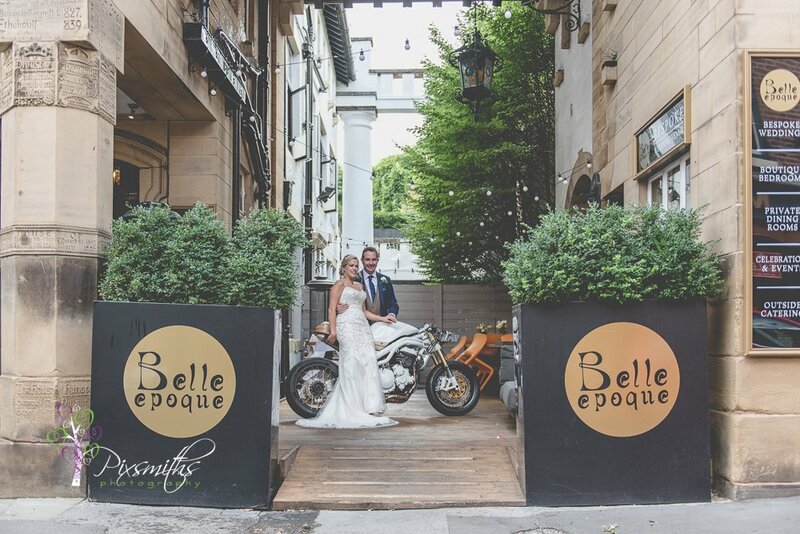 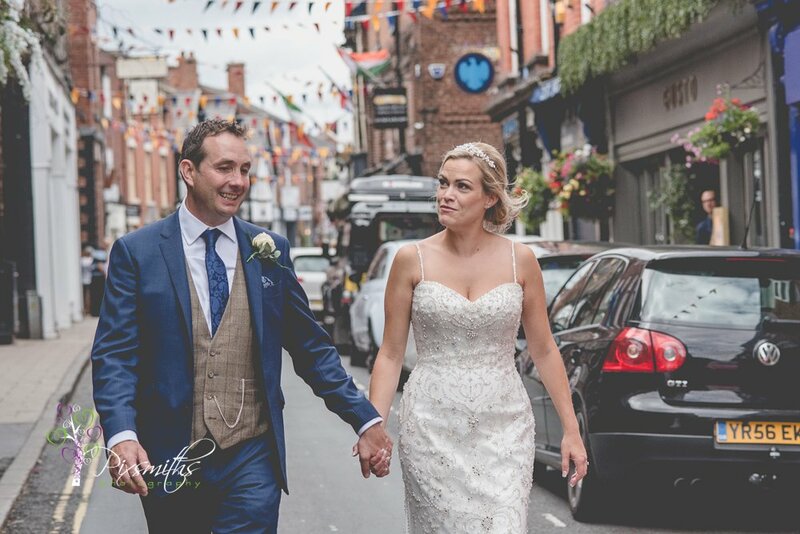 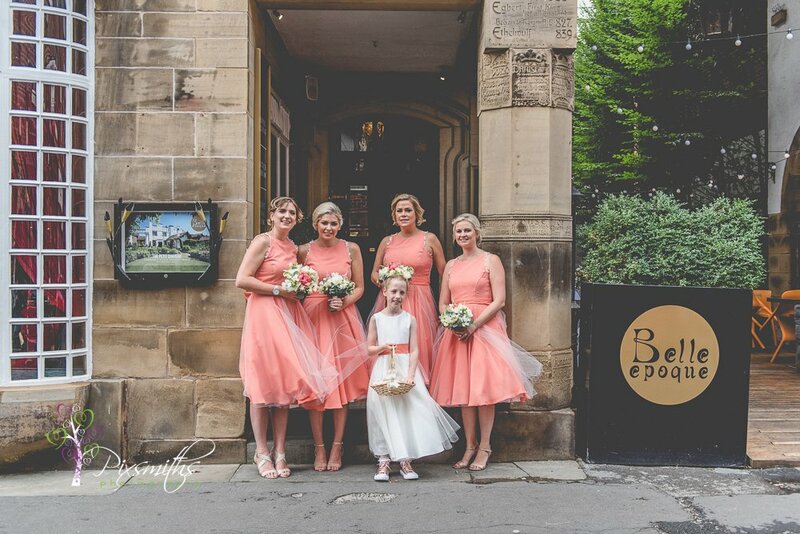 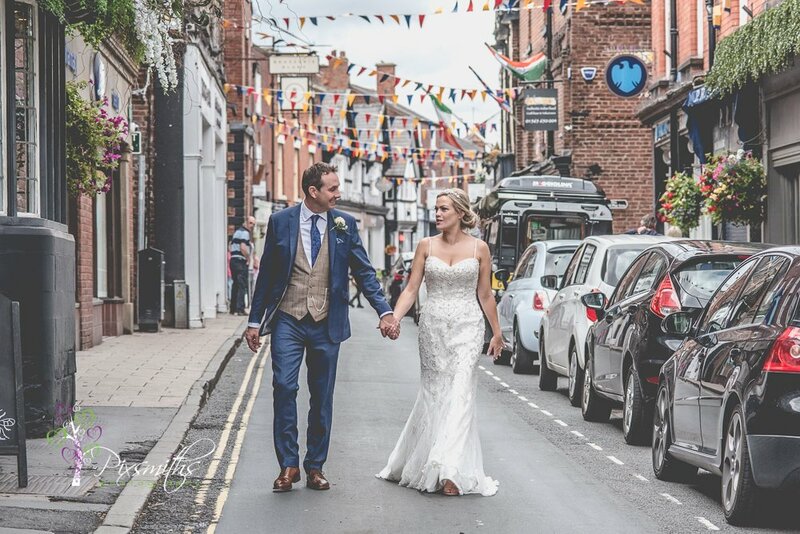 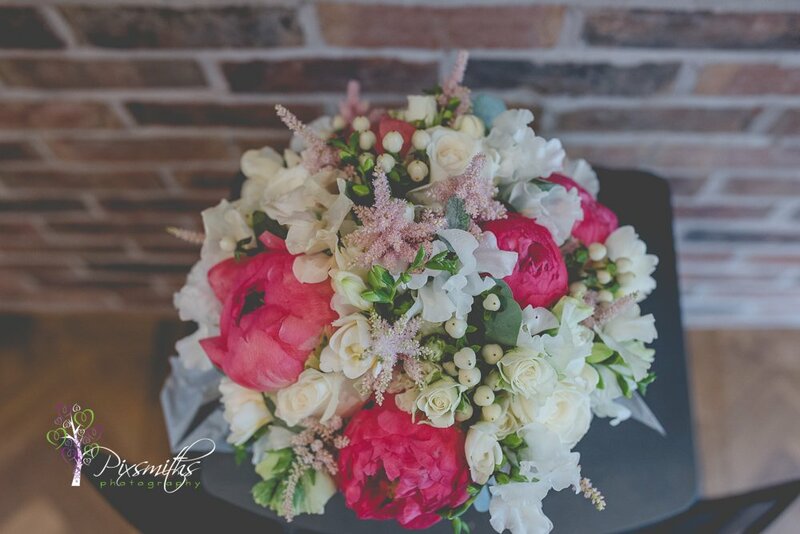 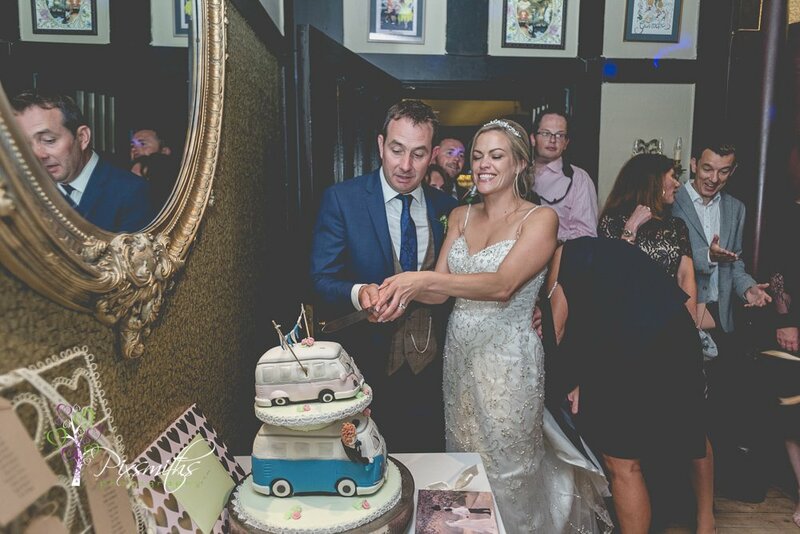 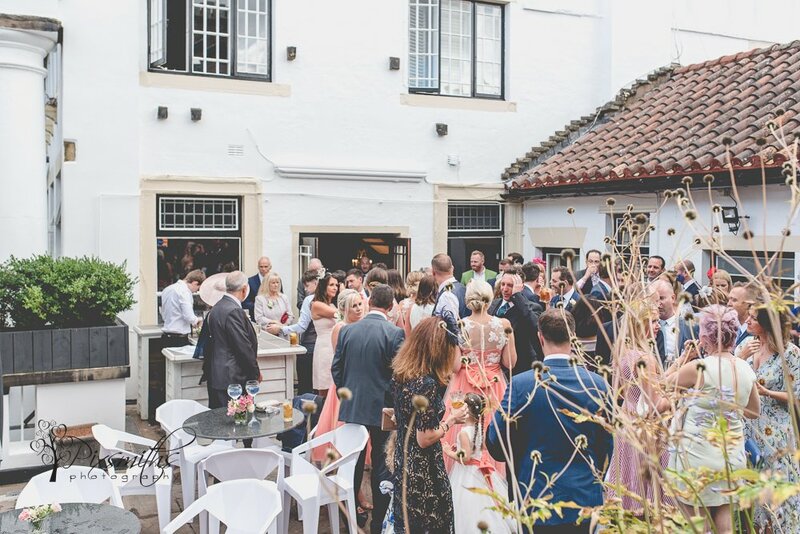 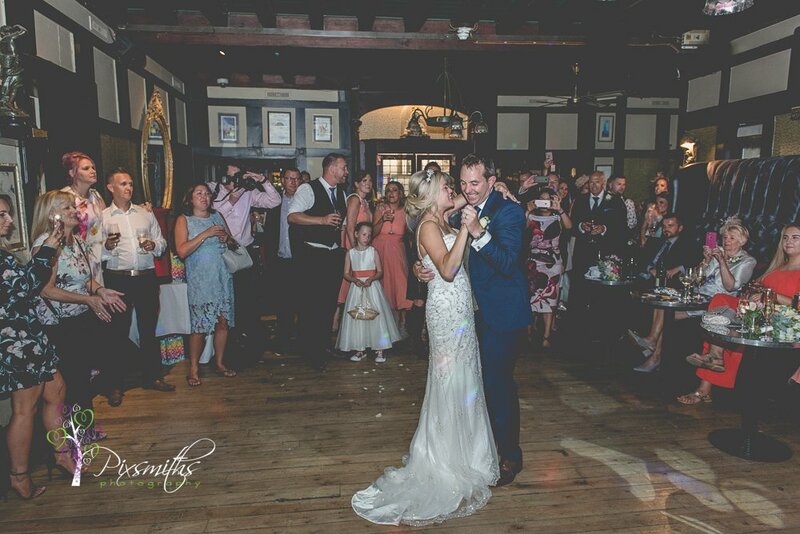 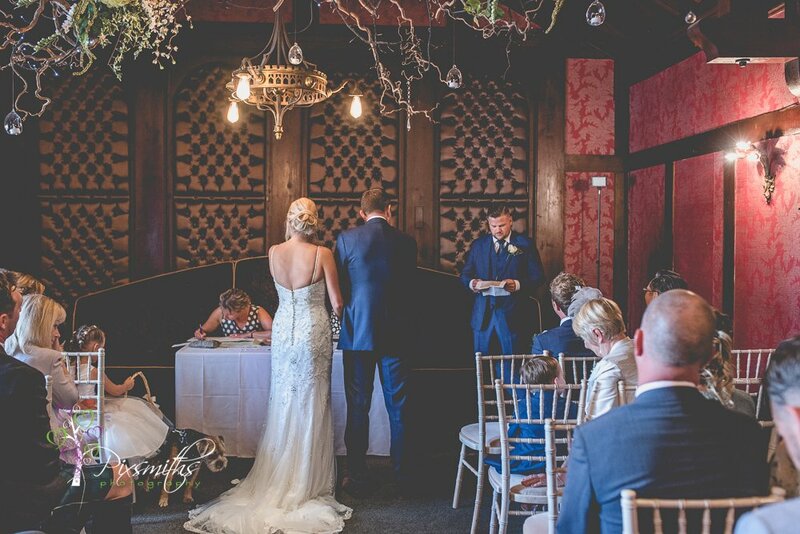 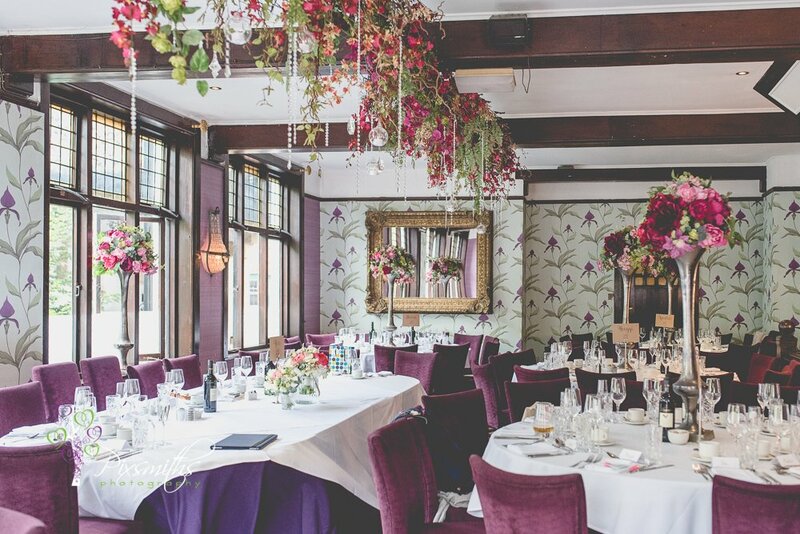 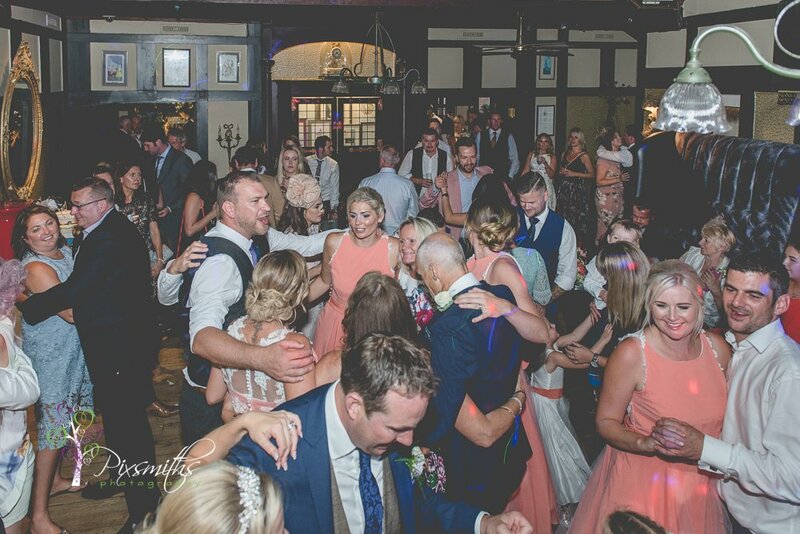 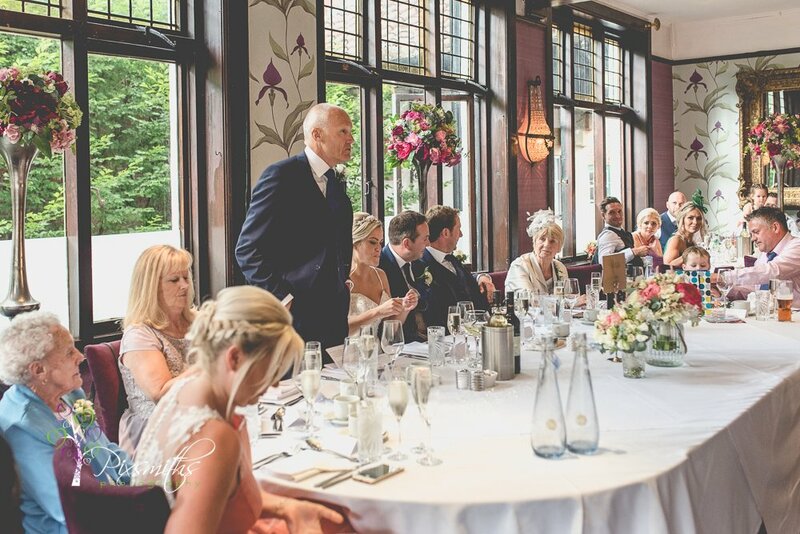 The Belle Epoque is a quaint quirky boutique wedding venue in Knutsford. 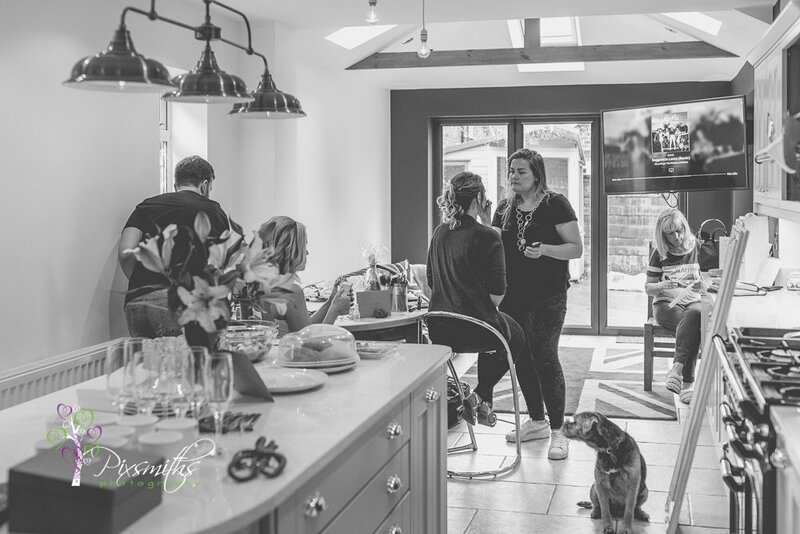 We had previously been here for a winter workshop, especially as its a dark venue inside. 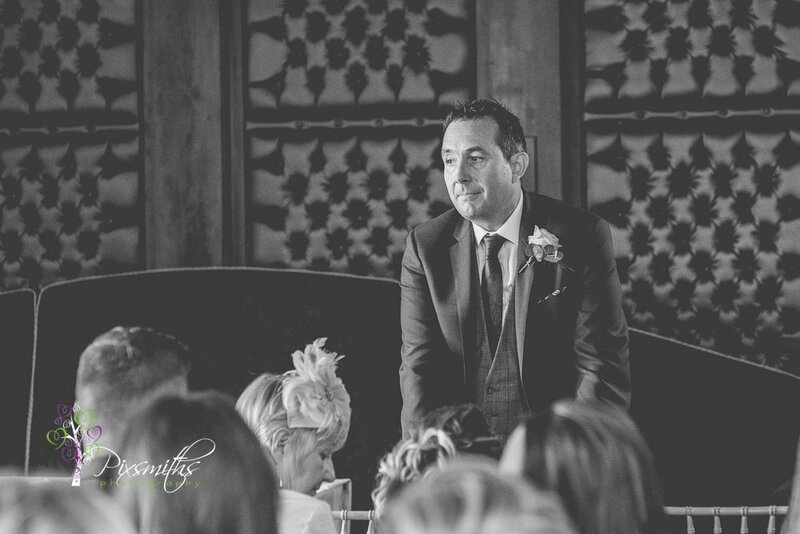 Lots of emotions ensued during the ceremony and speeches. 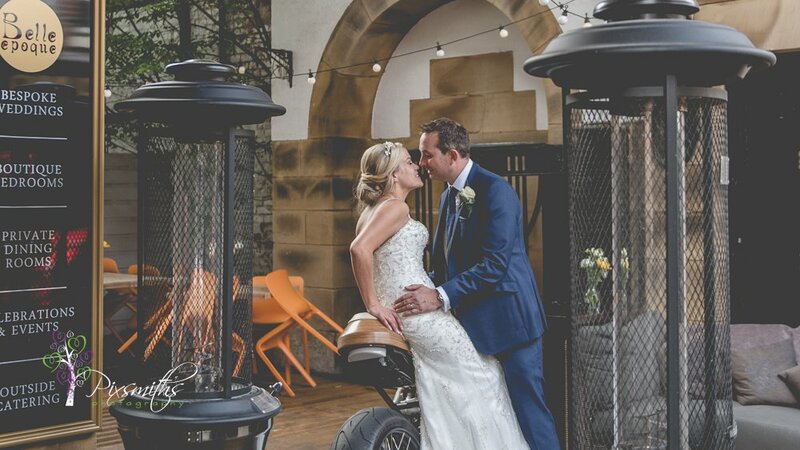 There was a definite motorbike connection this day. 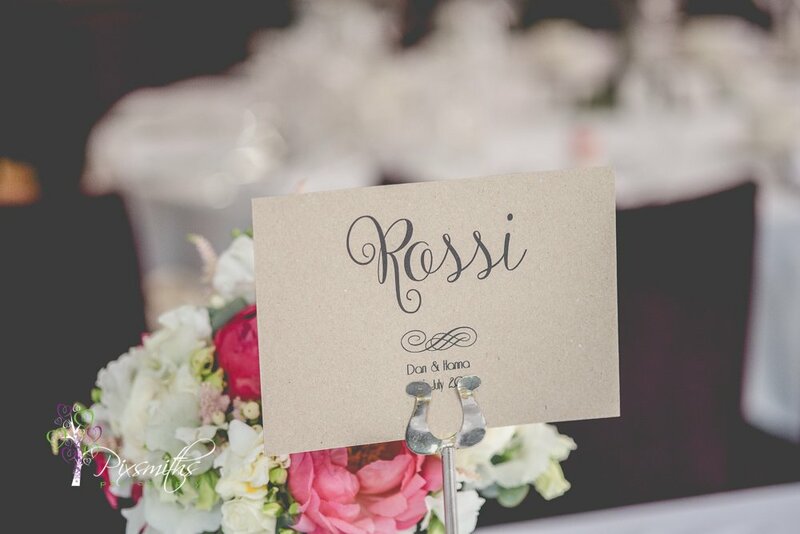 Tables were named after motorcyclists. 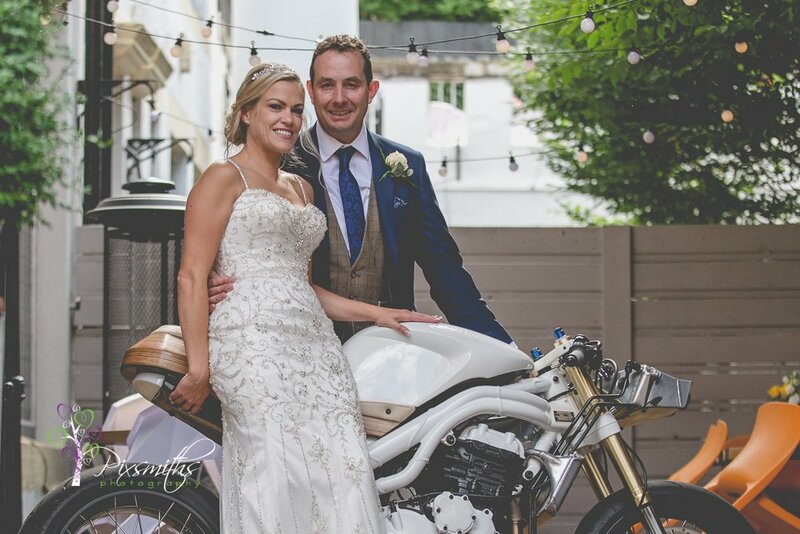 Plus a special motorbike was also brought along for Hanna and Dan to have some pics with. 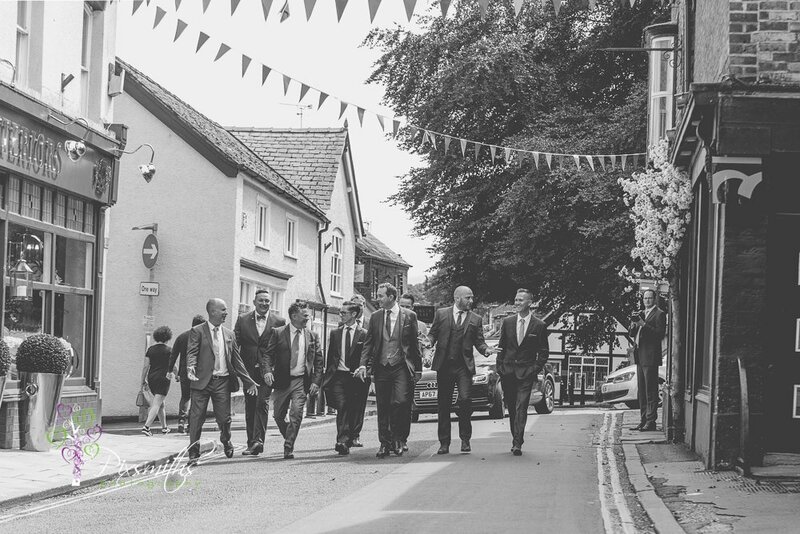 They didn’t want too many posed pics but we did get them to stop the traffic as they walked down the high street. 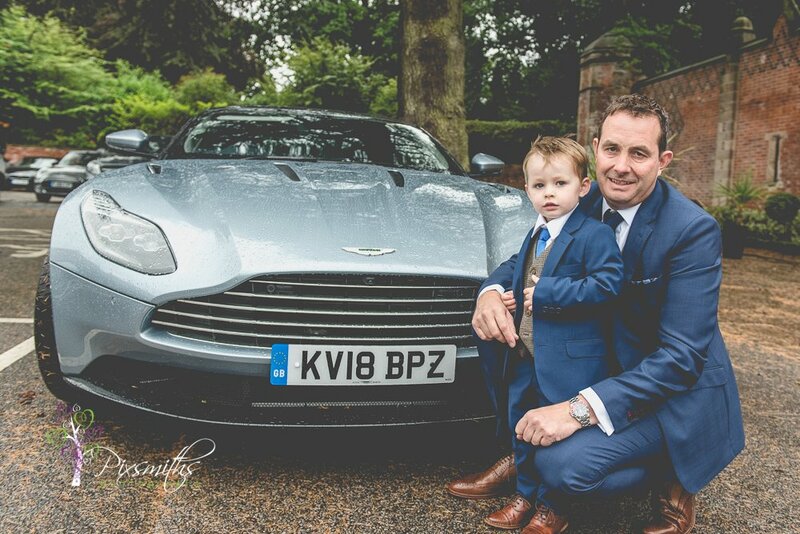 We grabbed a few shots just before the wedding breakfast too, and glad we did as just as we came indoors the rain came down. 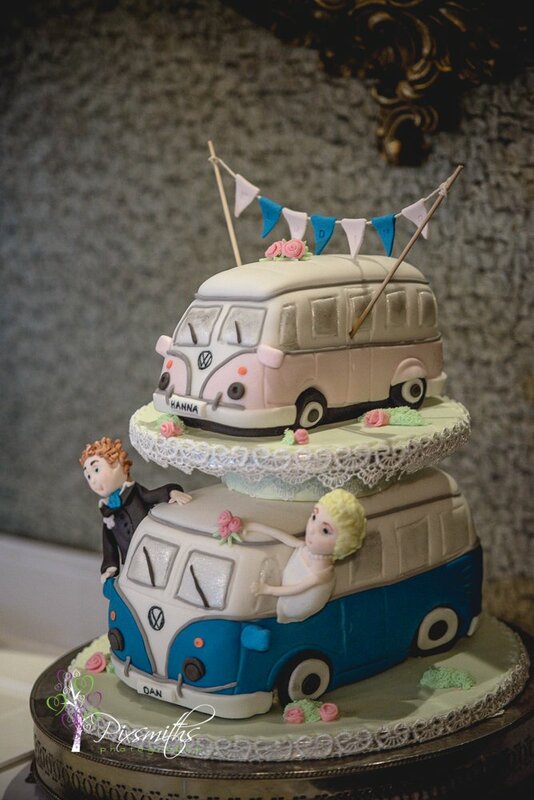 Soon it was time to cut that oh so cute double camper van cake and carry on with the party! 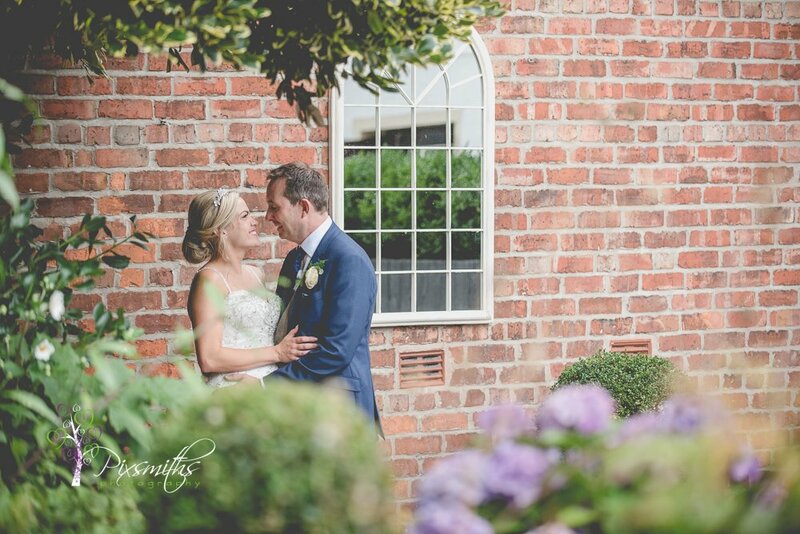 Many congratulations on your wedding day Hanna and Dan and all your lovely family. 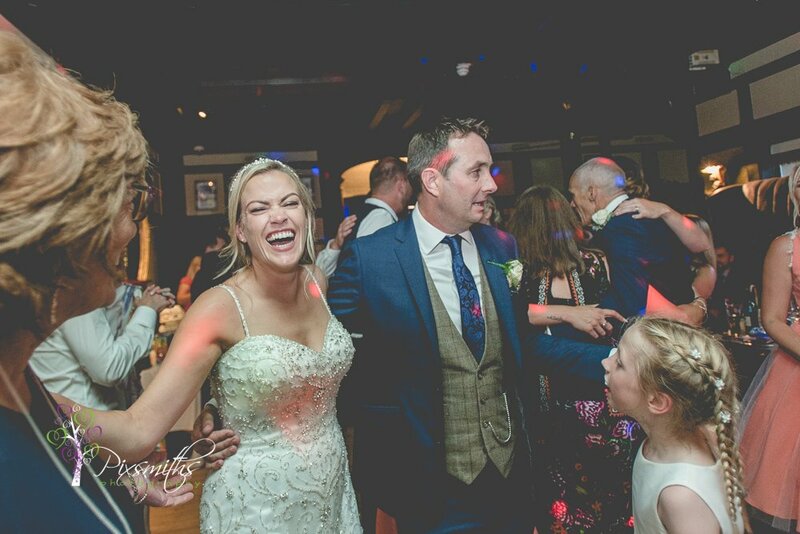 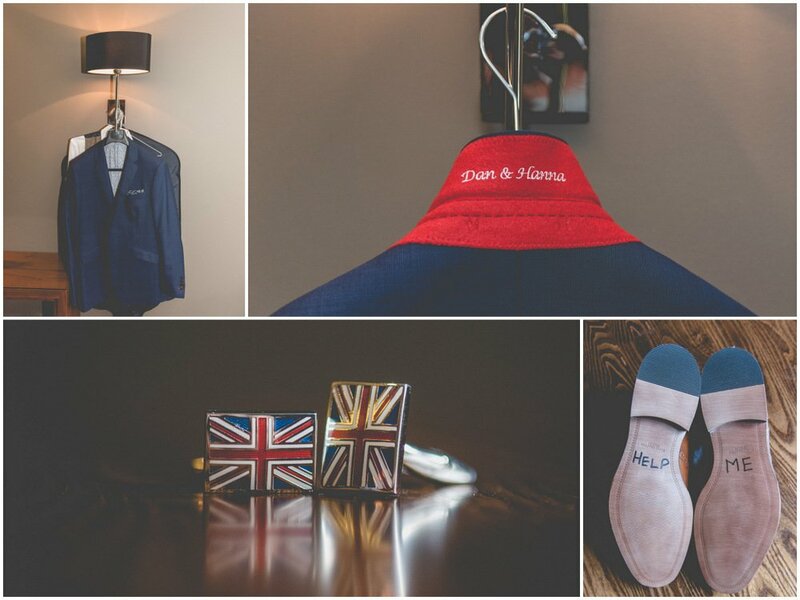 We love fun relaxed weddings where few posed shots are required. 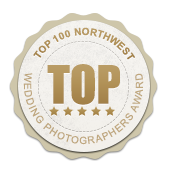 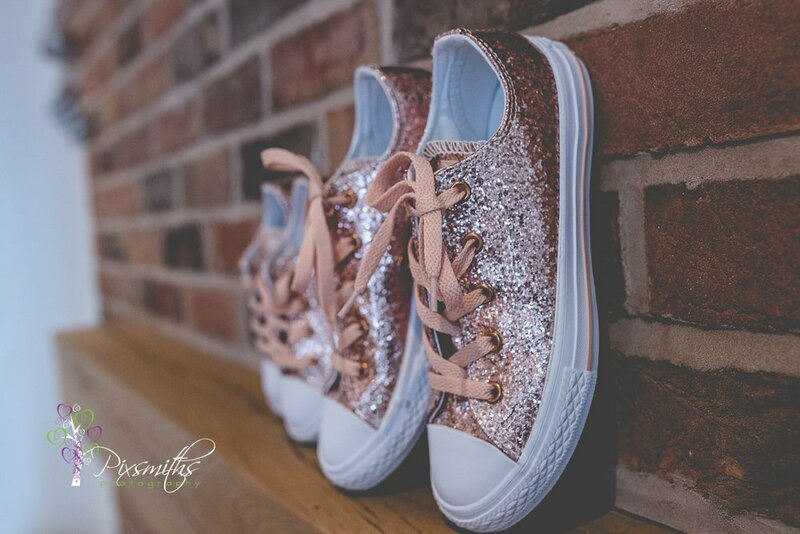 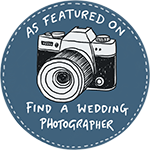 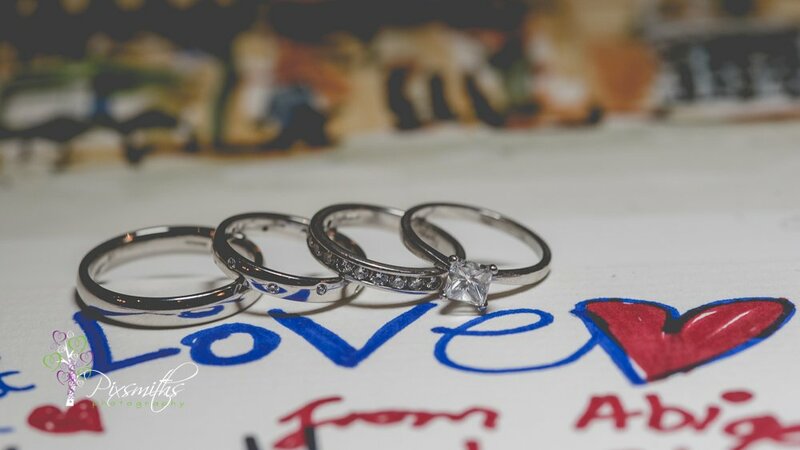 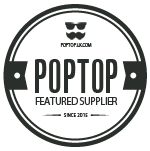 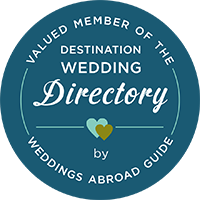 So if this is your thing we’d love to hear from you about your plans for your relaxed wedding.